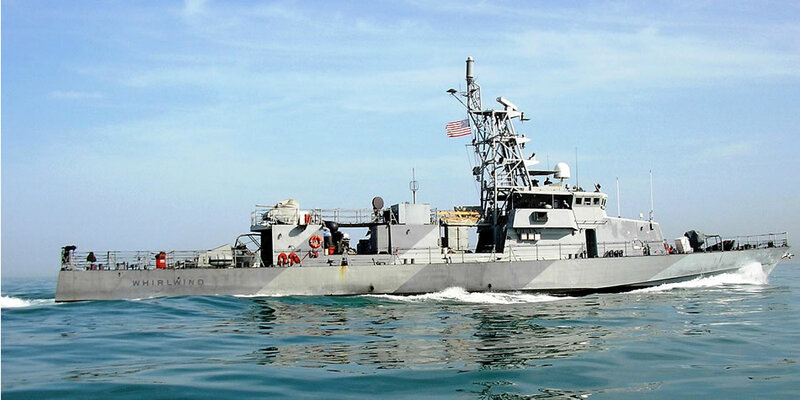 The patrol craft USS Whirlwind (PC 11) protects Iraq's oil terminals in the North Arabian Gulf. Attached to Commander Task Group 158.1, Whirlwind is on deployment in support of Maritime Security Operations. MSO help set the conditions for security and stability in the North Arabian Gulf and protect Iraq’s sea-based infrastructure, which provides the Iraqi people the opportunity for self-determination. Official U.S. Navy photo by Journalist 2nd Class Zack Baddorf.